The BBC is peddling dumbed-down science, one of the country’s leading academics has claimed. Professor Lisa Jardine, who heads UK fertility watchdog and is president of the British Science Association, said the corporation underestimates how much its viewers and listeners understand. She said that programme-makers steeped in the humanities assume that members of the public are as ignorant about science as they are. In fact, the belief is a ‘complete fallacy’ as many members of the audience have degrees and are perfectly capable of understanding complex terms and issues. Professor Jardine said she had experienced the phenomenon first-hand while making a series called the Seven Ages of Science for Radio 4. She said that ‘anyone who has done broadcasting for the BBC’ will know that while references to prominent figures in the arts go unchallenged, requests are made for scientific terms to be put into ‘ordinary language’. Professor Jardine said programme-makers frequently say that their mother wouldn’t understand complex terminology – but this is no excuse. Professor Jardine, who has chaired the Human Fertilisation & Embryology Authority since 2008 and heads the humanities department at University College London, said the problem stemmed from the fact that ‘everyone at the BBC is trained in the humanities’. She said that although changes are being made, the science unit is still ‘tiny’ compared to the arts department. She added that other broadcasters are also guilty of underestimating their audience. Her comments will form part of presidential address to the British Science Festival in Newcastle next week, in which she will talk about how the problem also pervades the way science policy is presented to the public. Others said that science programmes focus on entertainment at the expense of education. Professor Craig Jackson, head of the psychology department at Birmingham, said that when he was making a programme for Channel 5, it was suggested that viewers text in the name of their favourite serial killer. He added that programmes need to devote more time to explaining complex issues. The BBC, which has previously been accused of dumbing down shows from the Today programme to Gardeners’ World said that it broadcasts science during peak viewing hours and in recent years has put more working scientists on TV and radio than any other channel. 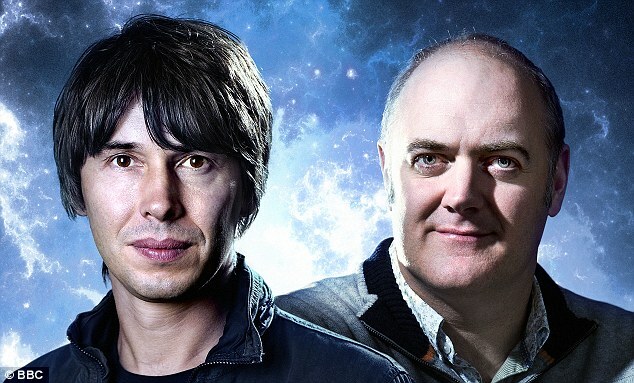 Presenters include Professor Brian Cox, Professor Alan Roberts and comedian Dara O’Briain. A spokesman added: ‘The BBC’s mission is to stimulate the audience’s curiosity and interest in science, across television, radio and online.